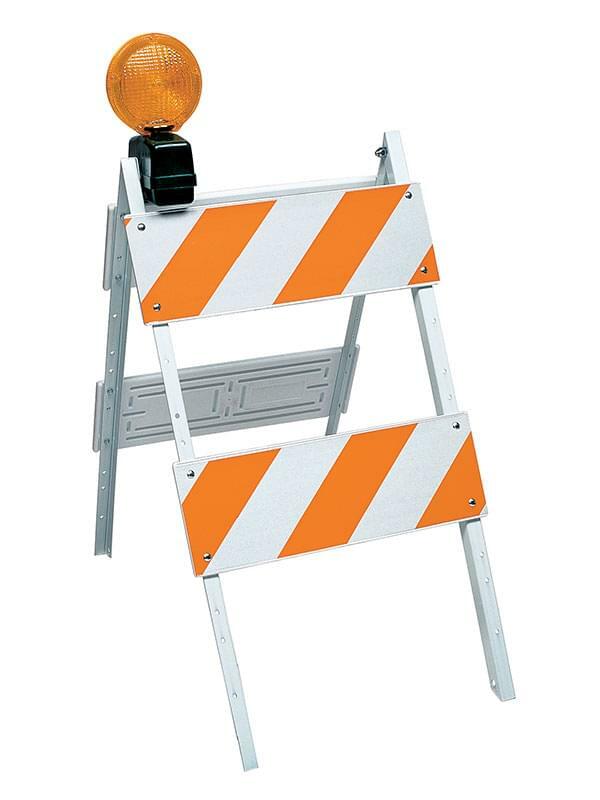 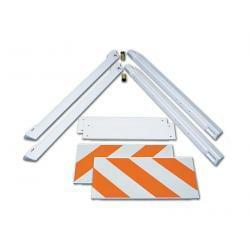 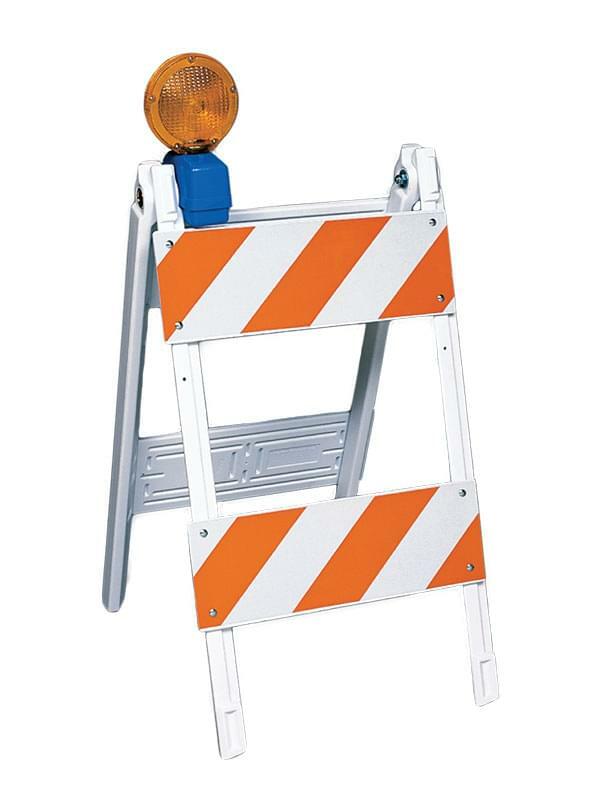 All Folding Barricades from TrafFix Devices meet or exceed MUTCD Standards. 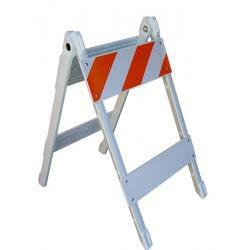 TrafFix Devices Plastic Folding Barricades are made from durable impact resistant polyethylene. 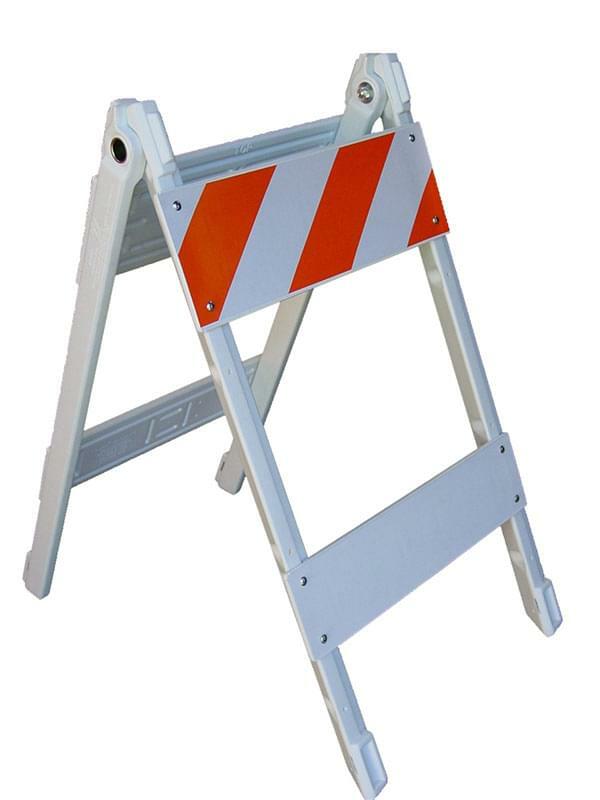 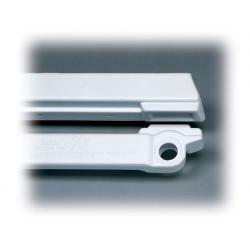 The lightweight and easy to handle Blow Molded plastic legs provide increased strength to minimize barricade damage and prevents sagging in extreme heat. 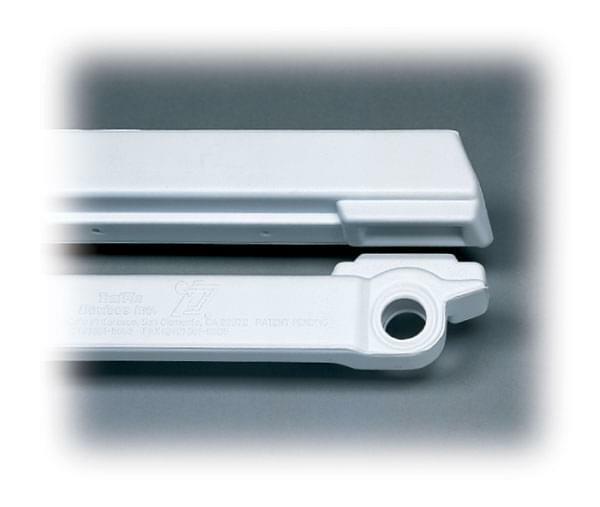 The modular design allows for easy replacement of components, saving you time, money, and helps keep waste out of our landfills. 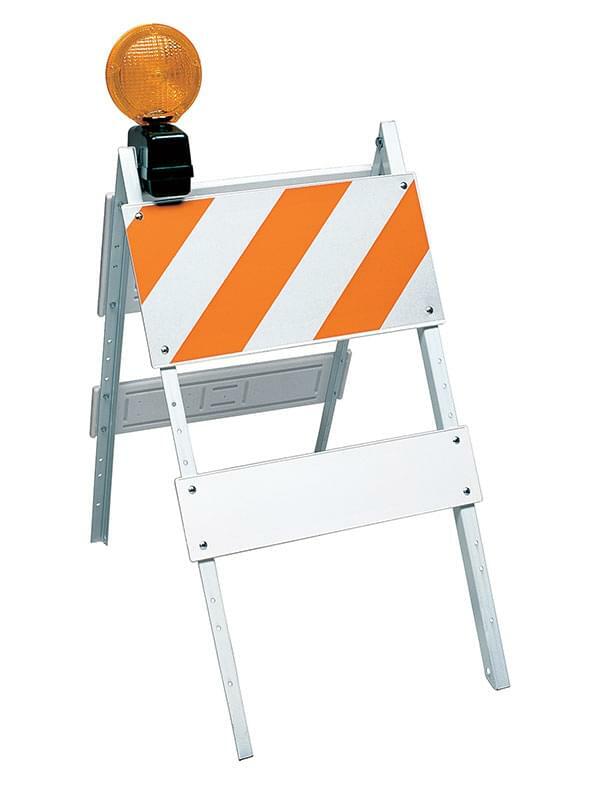 The unique San-Fil bottom panels eliminates those messy and unruly sand bags and helps to stabilize the barricade in windy conditions. 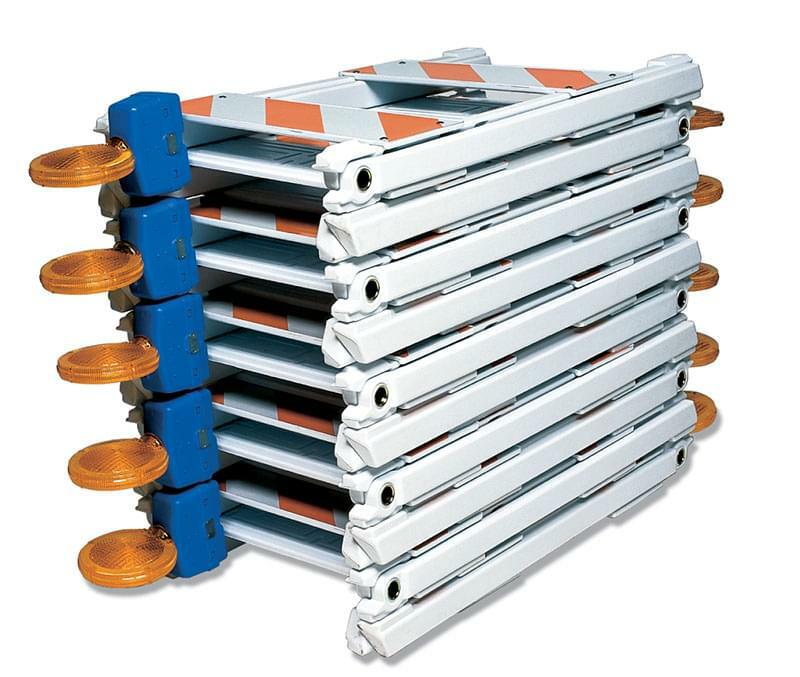 All TrafFix Devices Barricade Panels are recessed to protect the expensive reflective sheeting and feature molded-in male and female stacking lugs to keep the barricades firmly in place for transport and storage. 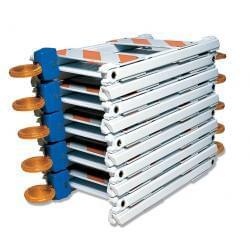 Barricade Panels can be stacked with or without attached Barricade Lighting. 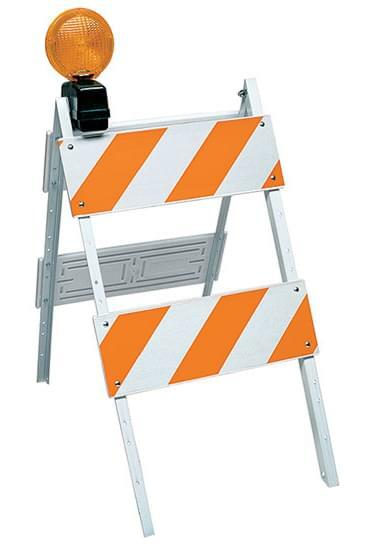 TrafFix Devices folding plastic barricades use durable blow molded plastic legs and High Impact (blow molded) panels. 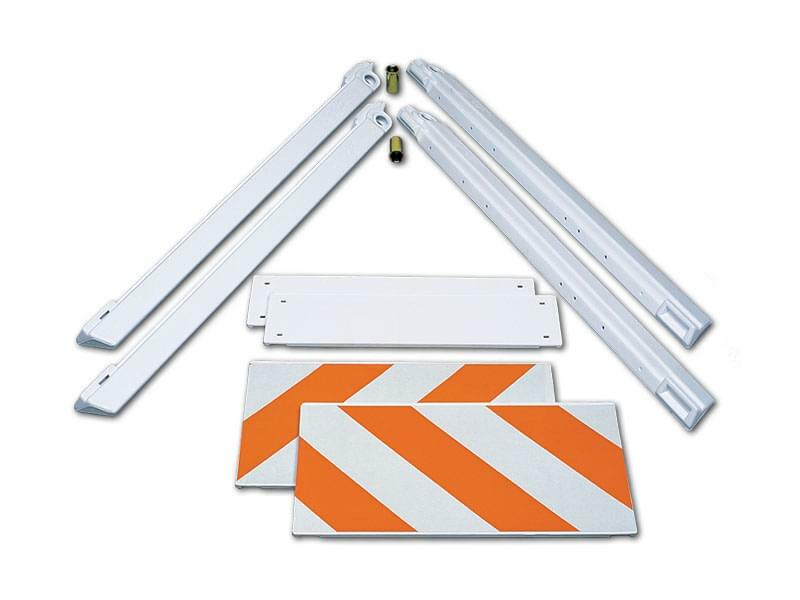 Because the Plastic Folding Barricade is assembled with individual components, you can select any combination of top and bottom panels as listed below. 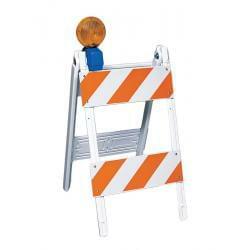 Stop wasting money by discarding bent metal legs, broken wood panels, or unrepairable plastic barricades. 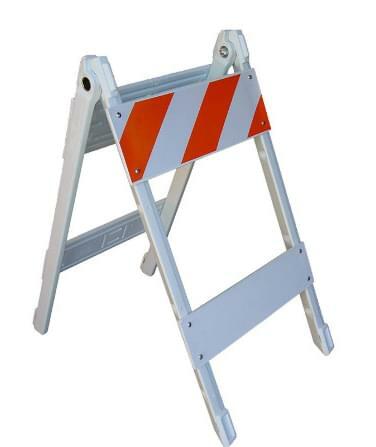 The TrafFix High Impact Plastic Barricade is modular, constructed from impact resistant plastic and all the components can be replaced should they become broken or damaged. 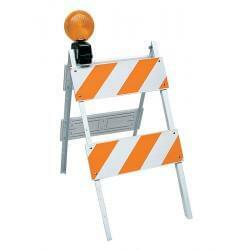 Save $$$ by repairing your barricades and help reduce waste going into out landfills. 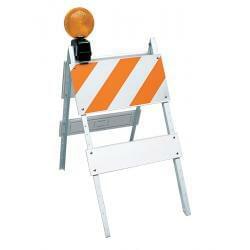 All Plastic Folding Barricades from TrafFix Devices are 100% recyclable. 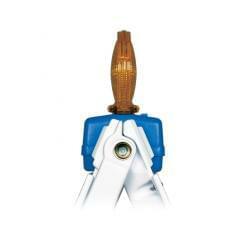 Help the Environment and help yourself! 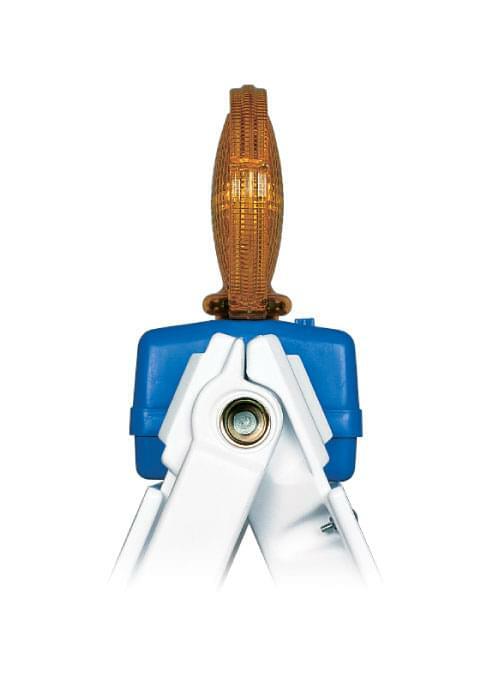 It's a win-win!